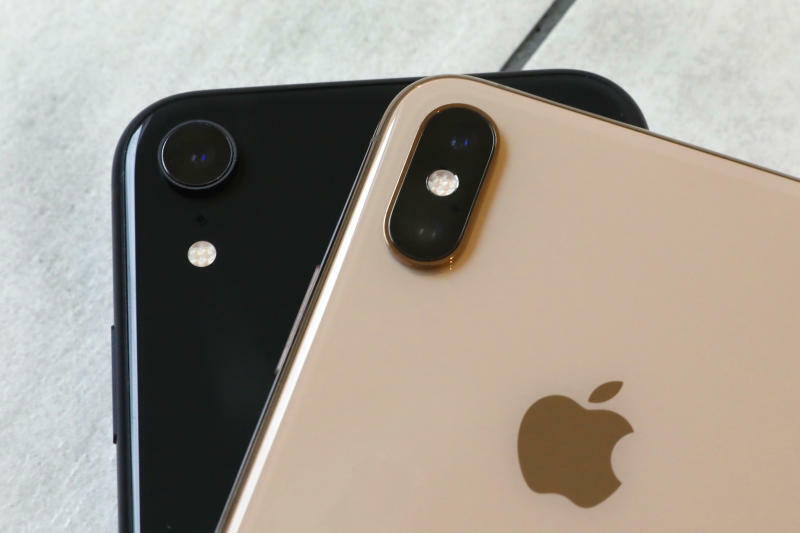 NEW YORK (AP) -- Apple's new iPhone XR has most of the features found in the top-of-the-line iPhone XS Max, but not its $1,100 price tag. The XR offers the right trade-offs for just $750. For something cheaper, you'll need to look in the iPhone history bin. Older models are still quite good. If you're shopping for a new phone, it pays to think hard about what you really want and what you're willing to pay for it. Improvements over the previous generation tend to be incremental, but can add up over time — and so do the sums you'll pay for them. The big jump in iPhone cameras came a generation earlier with the iPhone 6S, when Apple went from 8 megapixels to 12 megapixels in resolution. With the iPhone 7, the front camera goes from 5 megapixels to 7 megapixels, so selfies don't feel as inferior. The iPhone 7 is Apple's first to lose the standard headphone jack. Headphones go into its Lightning port, which is used for both charging and data transfer. It's a pain when you want to listen to music while recharging the phone. For that, you need $159 wireless earphones called AirPods. Apple no longer includes an adapter for standard headphones; one will set you back $9 if you need it. This larger version of the iPhone 7 has a second camera lens in the back, allowing for twice the magnification without any degradation in image quality. It also lets the camera gauge depth and blur backgrounds in portrait shots, something once limited to full-featured SLR cameras. The dual-lens camera alone is a good reason to go for a Plus, though the larger size isn't a good fit for those with small hands or small pockets. New color filters in the camera produce truer and richer colors, while a new flash technique tries to light the foreground and background more evenly. Differences are subtle, though. The year-old model, similar in size to the iPhone 7, restores a glass back found in the earliest iPhones. That's done so you can charge it on a wireless-charging mat, which also solves the problem of listening to music while charging. But with more glass, it's even more important to get a case and perhaps a service plan. The display on Apple's latest model, which comes out Friday, lacks the vivid colors, contrast quality and resolution of the pricier iPhone XS and XS Max. As with the XS models, though, you'll still get a display that largely runs from edge to edge. Gone is most of the surrounding bezel along with the home button. Many tasks now require swipes rather than presses. The fingerprint ID sensor is replaced with facial recognition to unlock the phone. There's more display than the regular XS, but the phone itself is also larger — just not as large as the Max. The camera continues to improve, with better focus and low-light capabilities. Many shots now blend four exposures rather than two for better lighting balance in suboptimal conditions. The XR doesn't have the dual-lens camera, though it can offer some of the blurred-background effect with software. This is essentially the "Plus" version of the iPhone XS. The phone itself is about the size of the Plus, but with more room for the display. This phone won't feel big for existing Plus users, but think twice if you have small hands or small pockets. Apple no longer sells the iPhone SE , which is essentially a three-year-old iPhone 6S, packed in a body that's smaller but thicker than the iPhone 7 and 8. Though the trend in phones has been to go bigger, some people preferred the smaller size — and the $350 price tag. You can try to get it from some wireless carriers and other retailers, at least for now. If you get an SE, 7 or 7 Plus, consider spending another $100 to quadruple the storage. Those phones come with a paltry 32 gigabytes, just half of what's standard these days. If you don't upgrade, you risk filling up your phone quickly with photos, video, songs and podcasts.